The ruin of the Prince's fort in Grimbergen is looking back onto a long history, which can't be reconstructed entirely - but I shall try to give a short summary. In the year 1159, during the Wars of Grimbergen, the wooden fort of the Rulers of Grimbergen was burnt down. But then there are already different opinions. If the first fort - built of stone - dates back to the 13th or 14th century, depends on which sources you trust most. But maybe this is not really very important, as today's fort was built around the year 1500. In the beginning of the 17th century it was restaurated by Jacques van Bergen-Glymes and when Filips Frans van Bergen became Prince of Grimbergen in 1686, the castle got its name, which still is used in our days. Filips Frans wasn't some anybody - he was a confident of the Spanish Hapsburger, who at that time governed the country. He became gouvernor of Bergen-op-Zoom and main bailiff of Hainaut, as well as gouvernor of Brussels in 1695. 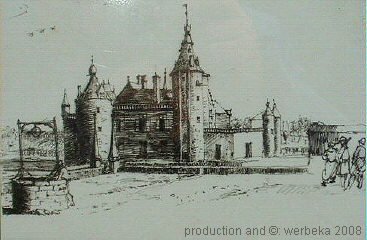 The estate of the Prince consisted of the park, that still is there, some woods and the farm of Guldendal, where the prince's stables and the storage-rooms of the castle were placed. 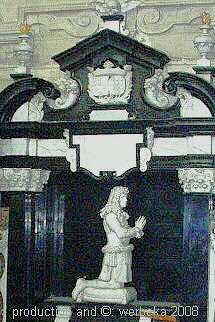 His grave monument can be seen in the chancel of the Sint-Servaasbasilica in Grimbergen. 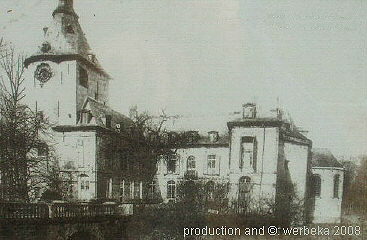 In 1757 the Mérode-family acquired the fort and kept it until 1959, when the commune of Grimbergen bought it. During WWII the fort was in German hands and when they drew back in 1944, the soldiers put it on fire. 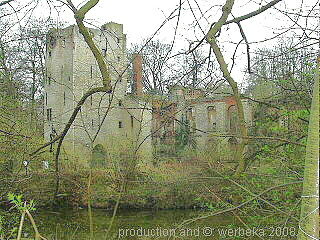 Since the last years of the 20th century the ruin is being restored. It shall become part of the Museum for Old Techniques. What once was the moat, is today a pond in which ducks and swans enjoy their lives, but which, without any doubt, also contributes to recreate the atmosphere from earlier centuries. Grimbergen today is a small community, some kilometres to the north of Brussels, which in the times of Filips Frans was of much bigger importance.